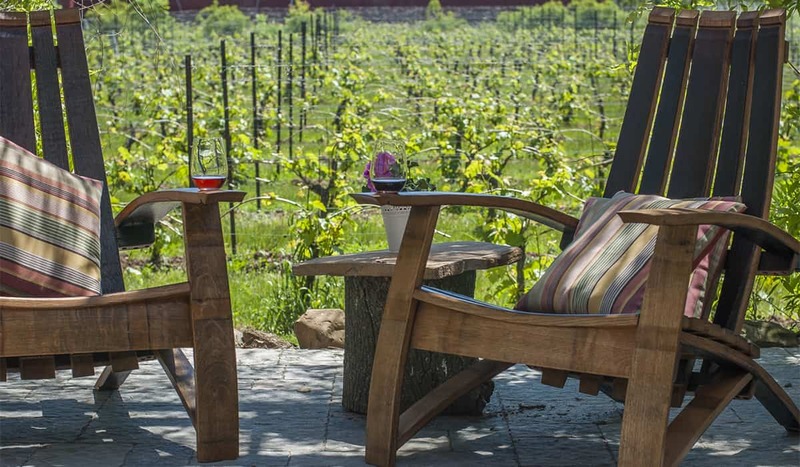 The Good Wine is born in our petite lot vineyards nestled at the foot of the Beamsville Bench in Twenty Valley. 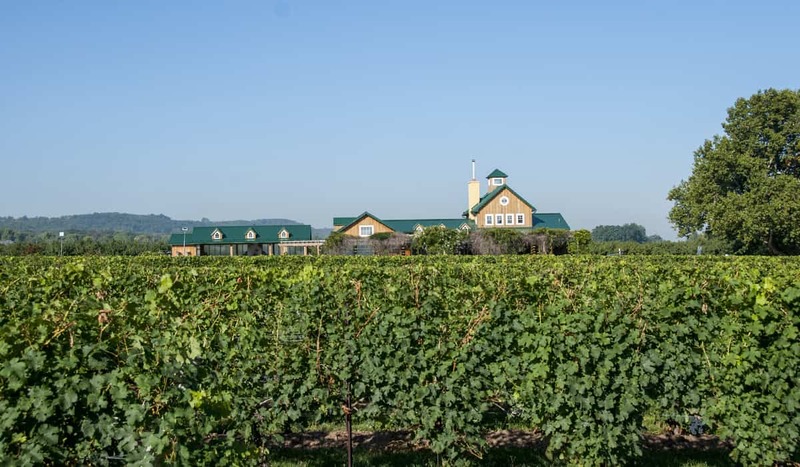 This region is gaining international recognition for the quality of wines produced and we are proud to play a part in the growth of Niagara’s wine country. Our wines are predominantly crafted from Chardonnay, Riesling, Pinot Noir and Cabernet Franc grapes from our small lot vineyards. The grapes are tended by gentle hands: hand pruned and thinned judiciously to produce very low yields of quality grapes. 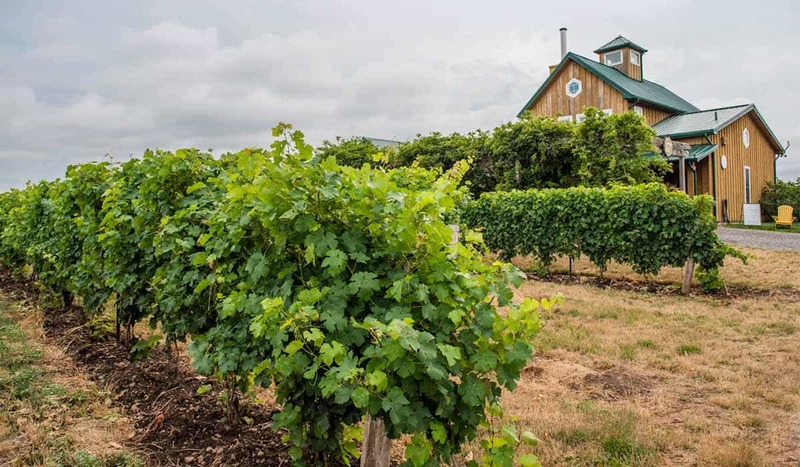 They are harvested by hand and transformed into VQA wines that complement the foods of the seasons. This makes them a fitting addition to any feast. 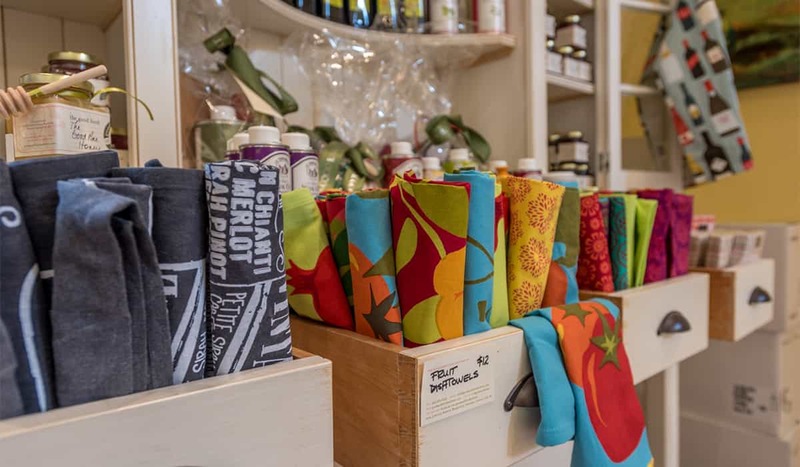 Visit our cheerful tasting room and retail shop. We will be delighted to give you a guided gustatory tour through our wine portfolio. For each $25 purchase, one tasting fee will be waived. 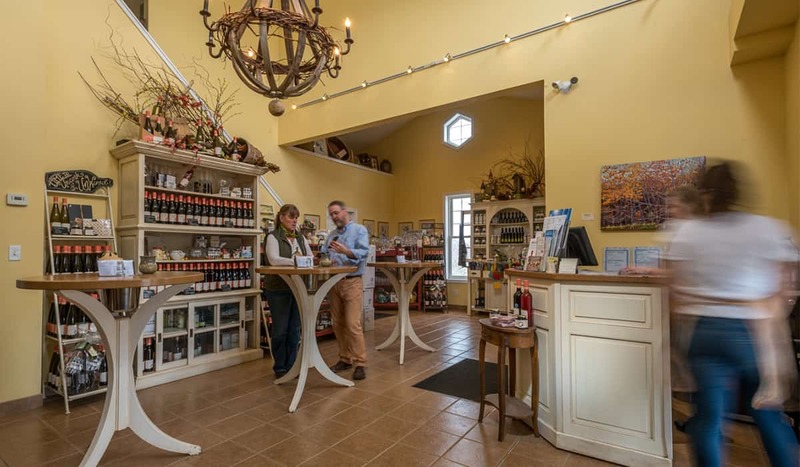 Please note we have a small tasting room – groups larger than 6 require a private booking. Call 905.563.6333 to arrange yours. Our first sparking wine produced! Aria sparkling Rosé was made with 80% Pinot Noir and 20% Chardonnay. A lovely rose water colour, this sparkling wine delivers aromas of strawberry compote, hints of cranberry and white peach. The palate delivers a vibrant mousse of bubbles lifting the white currant, raspberry, and cranberry fruit. The palate is slightly creamy and loving wrapped up in a refreshing citrus finish. 100% Cabernet Franc straight from the Good Earth Vineyard. Our fresh and vibrant Rosé grabs your attention with a lovely salmon coloured hue. The nose is lively with notes of Swedish berries, strawberry and a hint of fresh citrus. The palate is a crowd-pleaser; medium bodied with a hint of honey sweetness balanced by a cranberry acidity making this an ideal candidate for patio refreshment! This is one classy number! Elegant nose of raspberry, beetroot, and sweet floral notes. Light to medium bodied on the palate with a lovely silk texture, this wine has bright flavours of red cherry, strawberry, clove and a hint of rhubarb. If summer was red wine, this would be it! 100% Merlot with beautiful aromas of raspberry jam, sour cherry compote, cedar spice and fresh rosemary. The wine drinks like any good Merlot should, with a lush texture accented by mellow tannins and delicate acidity. Flavours include red currants, cherry and red liquorice accented by spicy oak and savoury vanilla on the finish. Decant if you would like to enjoy now or let this one mellow until 2019. A classy red with an expressive nose of lavender and baking spice as well as cracked pepper, leather, meat, and black fruits including damson plum, blackberries, and black cherries. The palate is equally elegant with a silky texture and medium body. This wine finishes well, with soft tannins and delicate acidity. Wonderful to imbibe now but will continue to develop into 2023. Our signature red blend comes out swinging with floral and mineral notes on the nose, followed by bright red currant, licorice, cherries and deeper aromas of plum and anise. 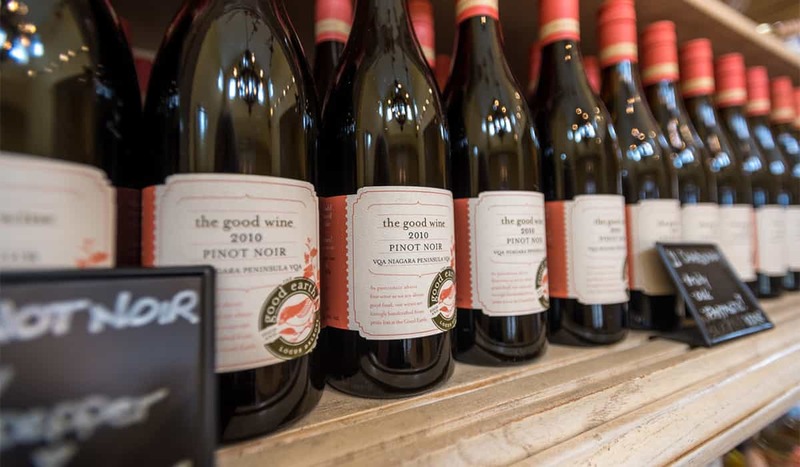 An elegant palate that is medium bodied with flavours of wild strawberry, fresh pepper and fig, wrapped up in soft tannin and delicate acidity. A great companion at the barbecue! Cabernet Franc that shows some serious sophistication! This Cab has a lively, aromatic nose of cherry and raspberry along with lavender, anise and subtle spice that is sure to please. The palate is medium bodied showing an old-world structure with firm tannin and balancing acidity. Expressive flavours of leather, spice, dried cherries and raspberry and fresh herbs. This wine is rustic, complex and will definitely benefit from some time in bottle; enjoy now to 2021. A warm vintage gives this voluptuous Riesling a rich nose of orange marmalade, peach and lemon zest. The palate is ripe and full, with subtle sweetness balanced by a zippy acidity on the finish. Pale gold colour; balanced aromatics of spice, cream, & ripe fruit; ripe fruit & oak spice replay on the palate with the addition of vibrant acidity and integrated undertones of oak tannin supporting the overall structure of the wine. Made with fruit from our Beamsville Bench vineyard that are some of the oldest Chardonnay vines in Ontario (35-40 yrs old), this Chardonnay is classic Niagara cool climate-style Chardonnay! Think peppercorn crusted NY Strip steak with compound herbed butter & blue cheese, or play it safe with roasted chicken or Lobster & garlic butter. Fall in love with Chardonnay again! A beautifully balanced nose of hazelnuts and spice beneath bright pineapple, melon and pear aromas. On the palate, the wine is medium bodied and richly textured. Flavours include apple, pear, apricot and marmalade ending in a mineral citrus finish. A great partner to a variety of foods. Creamy, voluptuous nose of apricot, pineapple, starfruit and everything floral. The palate luscious with flavours of melon, honeycomb, guava and nutty character. Rich body with a rounded, creamy texture. A big, beautiful beast of a white! Chardonnay in the buff with no oak required! Fresh citrus, honey, melon and peaches on the nose with hints of star fruit and honey-crisp apple. The palate is awash with Bosc pear, orange citrus, and fresh peach. This medium bodied Chardonnay has lovely crisp palate with bright acidity making for a refreshing finish, perfect on its own or served up with lighter fare. This wine has a lovely pinkish hue and an intense nose of melons, apple, canned pear and clementine oranges. A creamy soft palate that is rich in body and complex in flavour. Flavours include ripe Macintosh apple, cantaloupe honeycomb and a refreshing lime citrus on the finish. This is Grigio untamed! Add a little spice to your life with our amazing Gewürztraminer! A wallop of lychee nuts, rosewater, a ripe apple on the nose. The palate continues to impress with redolent poached pear, pineapple, mandarin oranges and starfruit all packed into a full bodied, creamy textured wine with a lingering spice on the finish. Exotic, complex and well balanced!